I'm going to be doing 'Monthly Favourites' from now, if you're not familiar with this then it's just basically my favourite products (beauty and non-beauty) from the past month. It is going to be something I am going to be trying to stick to! First thing is the blushes and a few eye shadows from the MUA palette. 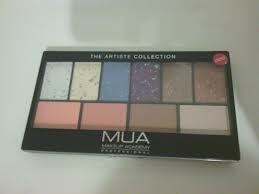 You can read a full review and view swatches here. I have been loving these blushes so much recently, they are really complementing my skin tone and have a nice (not too overpowering) shimmer to it. I am also loving the eye colours 'Grape' 'Chocolate' & 'Cookie' these three in my opinion are the most pigmented in the palette and look great on their own and together. Definite favourite for this month! perfectly every time and is also very easy to remove unlike many liquid liner which take forever to remove! The next - a nail polish! Got to got to have a nail polish in!! 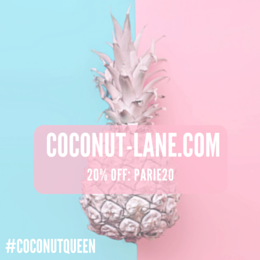 This one is by NYC which I think is a very under-rated brand in my opinion They have a lovely range of nail colours and this colour has been my Favourite for this transition from winter to spring. 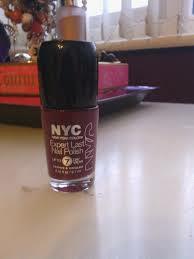 It is a really nice deep plum/purple colour that looks amazing! I only applied 2 even thin coats to my nails - however more can be applied to build up the colour, it was very long lasting and looked fab! This is more random! HAIR GRIPS! Oh my jelly babies, you guys.. i don't honestly know where I would be right now if I didn't have any hair grips in my world. These small things are such life savers. Trust me - my bad hair days cope with these. I have the 200 pack from pound land which have lasted me a long time and a of a really good quality! We are never ever ever getting back together! I love love love Taylor Swift, she is just amazing! Her style, her music, her make-up, her hair! LOVE it all! 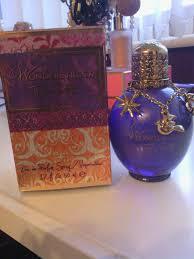 I am also loving her perfume 'Wonderstruck' the first of her two perfumes she has. This smells so fresh, sweet and fruity at the same time that it makes me fall over, I could bathe my self in it! It also lasts for such a long time after you put it on - amazing! My song of the month has to be .. 'What About Us' by The Saturdays! The girls are back with a new song after being in America for a while - which is being shown on their new series on E! 'Chasing The Saturdays' which I also adore. The song is just so catchy and the girls look amazing in the video. At the moment and probably forever and ever! I will love the programme Hawaii Five-o. Now I know in the US the series is in front of us here in the UK. So please NO SPOILERS PLEASE. I love the programme and I look forward to watching it every week. And that's it for this month guys! Comment below telling me your February Favourites! I really want to try the Taylor Swift perfume, I am a massive fan of her latest album!